During the summer of 2017, students from Row New York’s athletic rowing programs met in Queens, Manhattan, and Brooklyn to write personal narratives. They wrote about objects that hold special meaning in their lives, from flags of their countries to clouds in the sky. 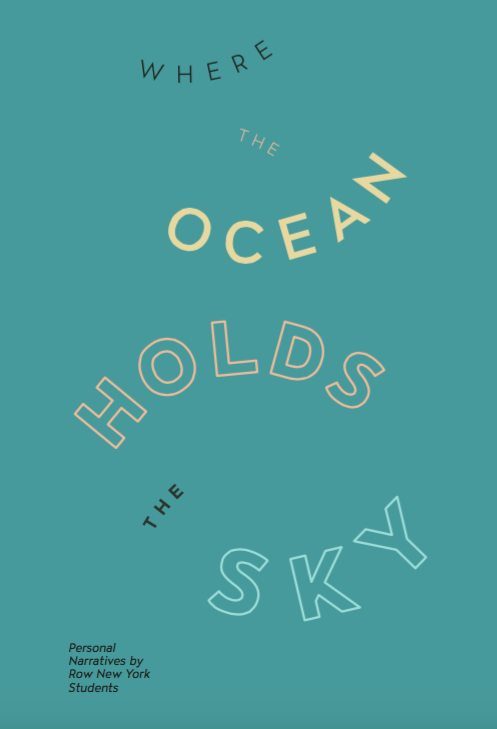 Perhaps your copy of “Where the Ocean Holds the Sky” will be the next object of great importance in your life. You purchase “Where the Ocean Holds the Sky” at the Brooklyn Superhero Supply Co. or online here. Many thanks to Ciara Cordasco for designing this book.